We were not financially compensated for this post and the sample were provided to us for review purposes. The opinions are completely our own based on our experience with the product. Setup is really easy – the chair comes in one box that fits through a standard sized door and is assembled in minutes. There are only two parts in the box – the back and the base! Ok, I’ll admit that we aren’t big on reading directions, especially when there are only a couple of pieces, and it took us a few minutes to find the place to connect the power cord. The chair itself isn’t overstuffed, so if you are looking for a big, wide overstuffed arm chair, this is not it. However, the fabric is very comfortable – we live in a warmer climate and leather/pleather gets sticky in the heat. The dark brown suede-ish hides stains and marks and lacks the skin sticking factor during the summer months. The chair is also REALLY comfortable! It doesn’t look like much, but it actually is the favorite seat in the room even when Grandma isn’t in it! Part of that is of course the push button recline and powerlift capability, so let’s talk about that feature. What is so convenient is that the remote is separate from the chair itself, so no bar or button hidden on the side – instead a two button large remote. It can tuck in a pocket on the side, or if you have a more forgetful granny, it can sit on the arm easily. I’m not going to lie – its large, so if you are looking for something more subtle, this is not the chair for you either. For our purposes however, its perfect. There are arrows indicating the direction of the movement – words stating Up and Down OR Lift and Recline would be better, but it’s pretty easy to figure out if you have the remote upside down and push the wrong button! The only thing outside of text on the remote we would change is that due to the nature of the fabric, it makes a soft groaning noise when you recline or put the leg rest down as the fabric rubs together. It freaks the dog out, but is really a minor annoyance for us. And Grandma doesn’t even hear it over her TV. Overall this was the perfect chair for her! 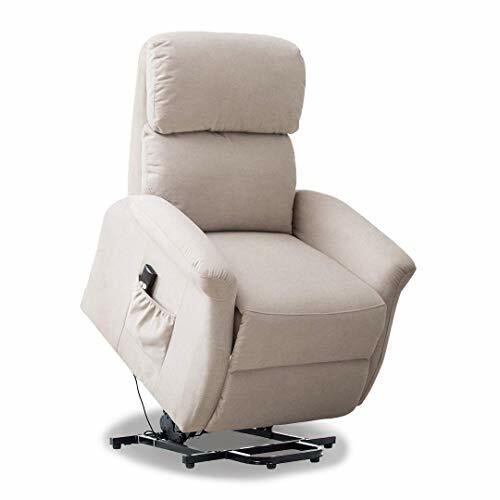 Small footprint, comfortable , smooth, slow power speed, large remote, easy assembly, power lift and recline AND a fabric that hides stains, looks good and doesn’t get sticky in the summer. 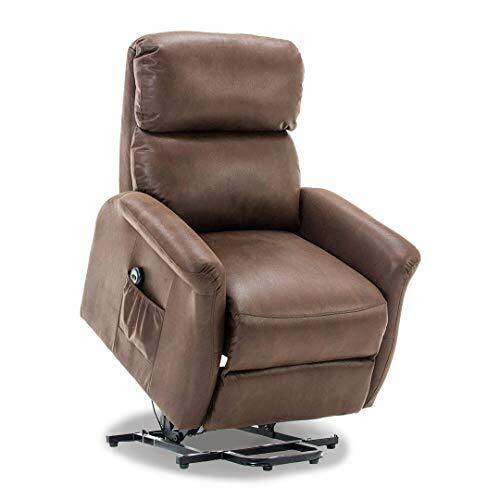 The Bonzy recliner is a winner in our book! GistGear awards the Bonzy recliner 5 (out of 6).